I bought a 2017 Alfa Romeo. I dealt with Tonye and was exceptionally pleased with the level of professionalism, friendliness, and overall experience in purchasing my car. I came all the way from Ogden, Utah to make a purchase and when I arrived, my car was detailed and filled with gas. They checked it all over with me, I signed some papers, and drove home. It was a perfect experience. Even better, I got a great price. Everyone I met was pleasant, positive, and delivered a great experience. 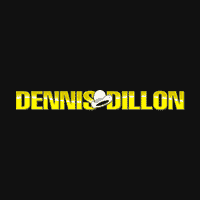 I highly recommend Dennis Dillon should you be in the market for a new car. The only place I'll ever take my truck to be serviced! The service department is top notch! Ordered the wrong part they went to and beyond to get the right one. Thank You! So far on recall service calls they have been awesome to get me in and out. Great experience!!! Marsha was so great at helping us get into a new Mazda ! She was honest and not pushy at all. We highly recommend her!! They filled my car up and detailed it before we got it and did such a great job! Highly recommend this place! Thank you to the team over at Mazda store! They got me into right deal and I absolutely love my car! I am always impressed and pleased with the service I receive from Dennis Dillon. Tim was awesome fast and efficient...and friendly too. Took my car to get oil and filters changed and was done quicker than what I thought. Very friendly service. Dan was great!...he was super busy as it was a sunny Saturday but he took the time to make sure I had all my questions answered...always a pleasure at ddrv! Robert Anderson sold us a used 2006 Lance camper and the experience couldn't have gone any better. He showed us on two separate occasions the variety of campers that were for sale and answered all of our questions honestly. He made it a positive , non stressful experience and didn't pressure us at all. Michael Pope , the accessories manager, also went above and beyond to meet our needs and answer our questions. We're excited to make memories in our camper and appreciate Robert and the Dennis Dillon team for all of their help! Excellent service from beginning to end! Highly recommend DDRV! Loved it, they got us a good deal and even made it within our budget expectations, even with our strict requirements. We enjoyed our experience and will probably keep buying here.